Haven't seen anything here about this yet so I thought I might as well post this. There is a new live action movie (released in Aug.) based on the old Japanese anime: Gatchaman. I don't have all the details so you'll have to check the links for yourself. So I doubt it's all that good. Thought some of you may be interested anyways. As a fan of Gatchaman I'll probably watch this eventually. I still wish the IMAGI movie would have happened. O.Supreme wrote: As a fan of Gatchaman I'll probably watch this eventually. I still wish the IMAGI movie would have happened. Despite IMAGI still limping along, seems they'll not get another chance at Gatchaman. Gatchaman live action movie?! Cool! Shonokin wrote: Despite IMAGI still limping along, seems they'll not get another chance at Gatchaman. Yes thats exactly what I was referring to, and its a darn shame. the opening action scene that introduced our winged friends is worth the price of admission right there. Really? It was just released here in August, I believe. They must've been trying to promote it in hopes they could sell it overseas. I'm curious, did you see it with subtitles or not? Well hopefully somebody gets this and brings it over on DVD/Blu-Ray soon. Since Section 23 (Sentai Pictures) rescued the first anime series (ADV had it) & the '90s OVA, maybe they could get a shot. They do have that live-action section in Switchblade Pictures. Last summer Tatsunoko Production and Sentai Filmworks signed a licensing deal for several of Tatsunoko's anime titles, including GATCHAMAN and the original CASSHAN. That's how Sentai Filmworks is able to release those shows on DVD and Blu-ray. The live-action movie is a separate matter; the international rights are being offered by NTV. Sentai Filmworks could conceivably be interested since they already have the anime, but -- as far as I know -- they (or their other Section23 affiliates) haven't acquired anything from NTV before. Several of NTV's films (including GANTZ, 20TH CENTURY BOYS, Rebirth of Evangelion, K-20, KAIJI and DEATH NOTE) were licensed by VIZ Media or FUNimation for North America and by Madman for Australia/New Zealand. If/when the GATCHAMAN movie gets picked up I expect it will be by one of those three distributors. Well that's interesting to know that about the movie. Though I thought since ADV (which basically turned into Section 23) had the Gatachaman license, that meant they just "rescued" their old license. I am rather surprised that Section 23 didn't immediately jump on those Eva movies. Since Eva was ADVs "cash cow" for many years (they released it at least 5-7 times on DVD). 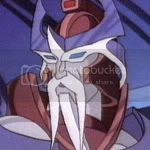 Kinda wonder if any of the dub actors they used for Gatachaman could be either "borrowed " (if somebody else gets the live action movie) or would they recast? Or if they even work for Section 23 anymore (if they get the movie). 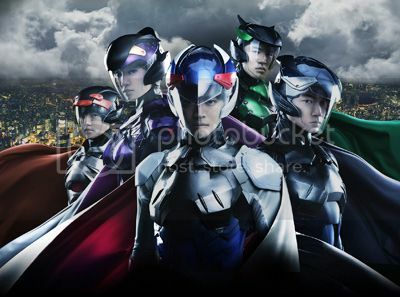 SciFi Japan has production notes and high-res photos from Nippon Television for the 2013 live-action GATCHAMAN movie. Well this looks pretty cool! Hope it comes to the USA eventually.